Everyone watches the World Cup these days. The reason is quite simple: the best national teams in the world battle each other to win the trophy and the title of the best national football team in the world. This means that the matches between teams have plenty to offer, such as football superstars and their particular hair, tattoos or maybe their lucky charms. 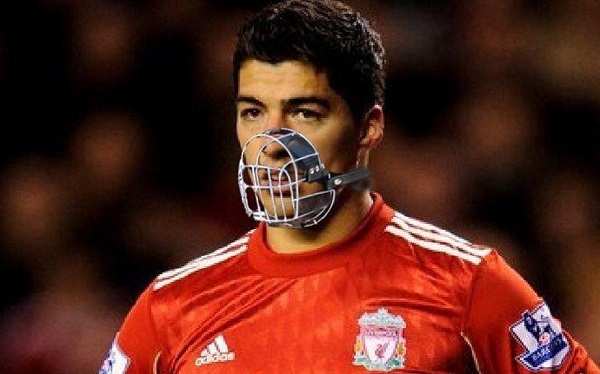 However, there are others, like Luis Suarez, who have other peculiarities, such as biting(!) the opponents! 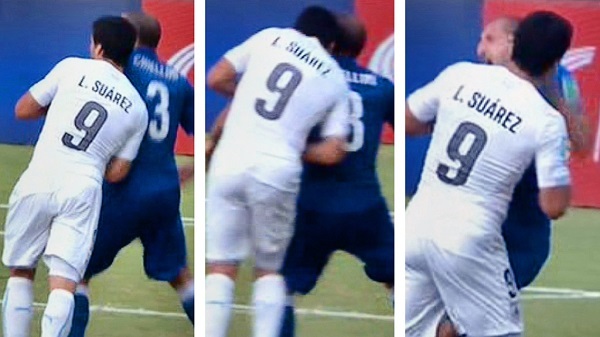 On the match of Uruguay vs Italy, the Uruguagian striker Suarez came up with the brilliant idea to bite his opponent, the Italian Giorgio Chiellini, on the shoulder. 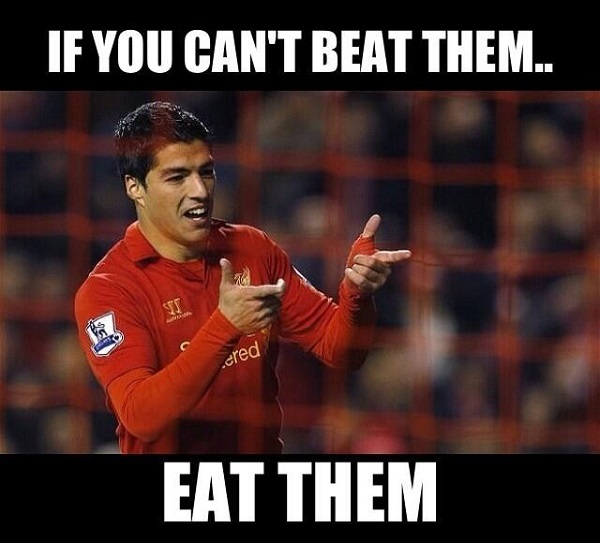 Apparently, the referre didn’t see him doing it so he got away with it for the remaining 10 minutes of the match. 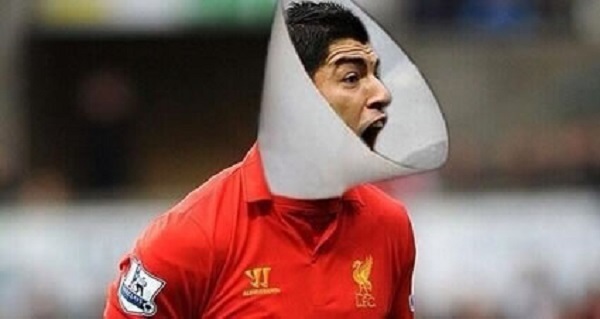 No matter how hard Chiellini tried to have Suarez sent off, it didn’t mean a thing. Even the mark he got on his shoulder didn’t matter. 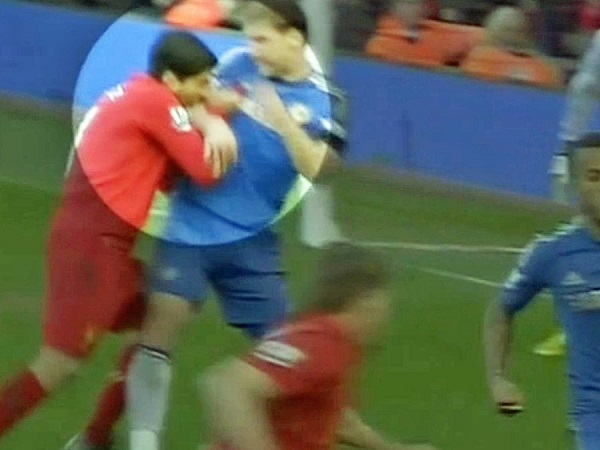 As you would expect, Suarez denied everything and said that they just collided with each other. For the record, FIFA did see him and he was banned from any football event or activity for 4 months and he had to pay a fine too. The thing is that this is not even the first time he has done that. 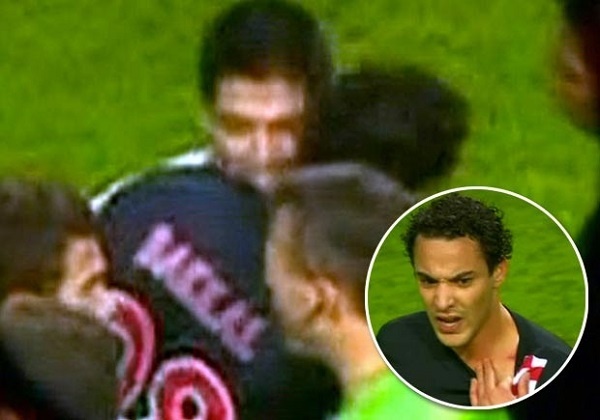 In fact, this is not even the second time, as this one marks the THIRD time this player has bitten someone! Two other bitings have occured, each disqualifying the player for a lot of matches. 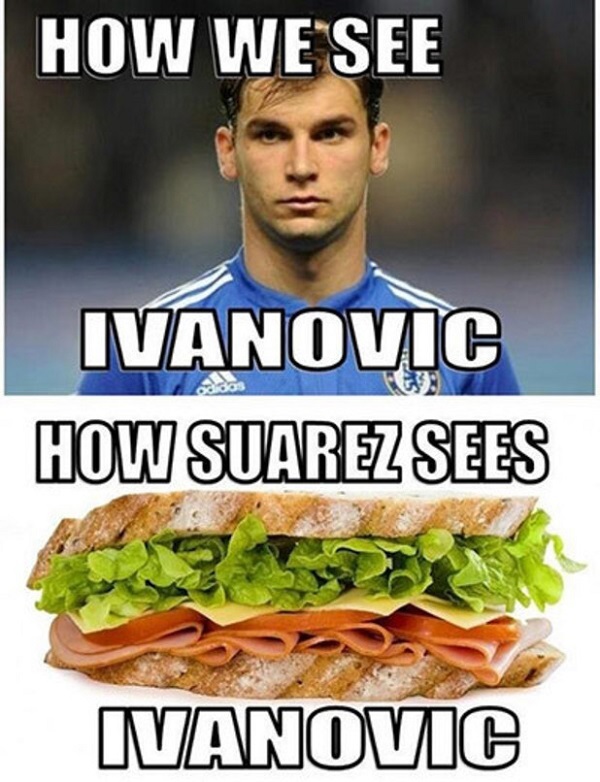 To be exact, for the last biting incident, against Branislav Ivanovic, he was banned for 10 matches! If you add the seven-match-ban he got for biting Otman Bakkal in 2010, plus the 9 matches now then he has 24 matches off in just 4 years, all due to biting other people! 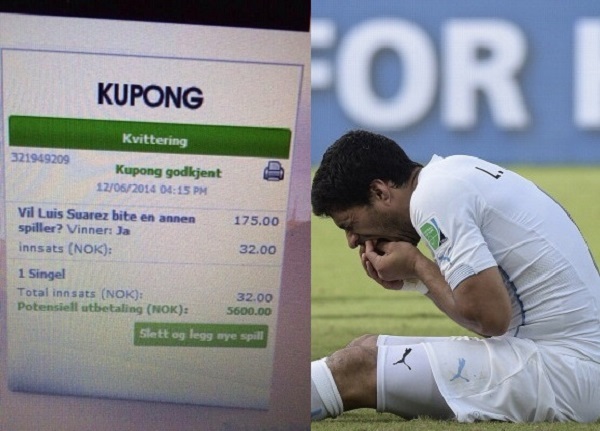 The fun fact: 167 people in Norway had bet on an online betting site in their country that their Uruguayan striker would bite someone in World Cup in Brazil. The odds were 175 to 1, due to the importance of the event. There is someone who actually bet 32 NOK and earned 5600 NOK! 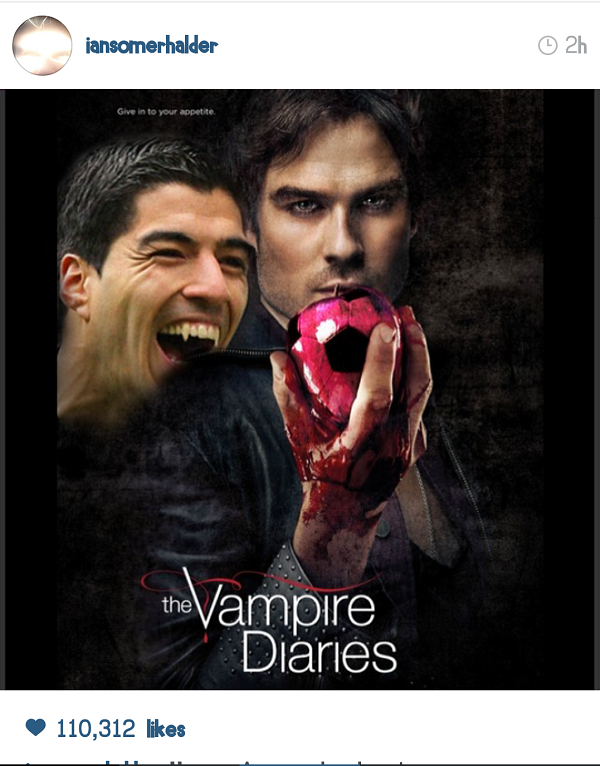 What’s funnier are the manipulated photos of Suarez spreading around the web after the latest biting incident. Enjoy!